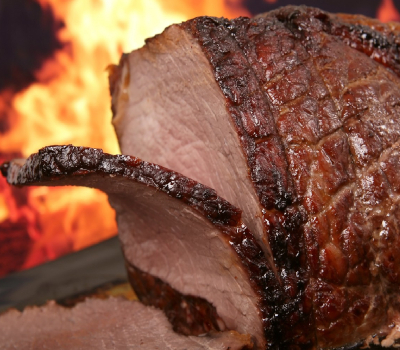 What Bracha do you make on Roast Beef? Blessed are You Hashem our God King of the universe, Everything was created through His words. Baruch Atah Adonai, Eloheinu Melech Haolam, Shehakol Nihyah Bidvaro. Blessed are You, Hashem our God, King of the universe, Who creates numerous living things with their deficiencies; for all that You have created with which to maintain the life of every being. Blessed is He, the life of the worlds. Baruch Atah Adonai Eloheinu Melech Haolam, Borei Nefashos Rabos V'chesronan Al Kol Ma Shebarasa L'hachayos Bahem Nefesh Kol Chai, Baruch Chei Haolamim. 🔷 For more info on the Bracha of Borei Nefashos, Click Here. Did you find an error on the page? Or do you simply have something insightful you would like us to add? Please contact us below and we will look into it. Thanks! © Copyright 2019 Brachos.org - All Rights Reserved. The material on this site may not be reproduced, distributed, transmitted, cached or otherwise used, except with the prior written permission of Brachos.org. Brachos.org does not warrant the Kashrus of any product listed on this website. Users discretion advised. The content on this site is for informational purposes only. For all Halachic questions, please consult a Rabbi.